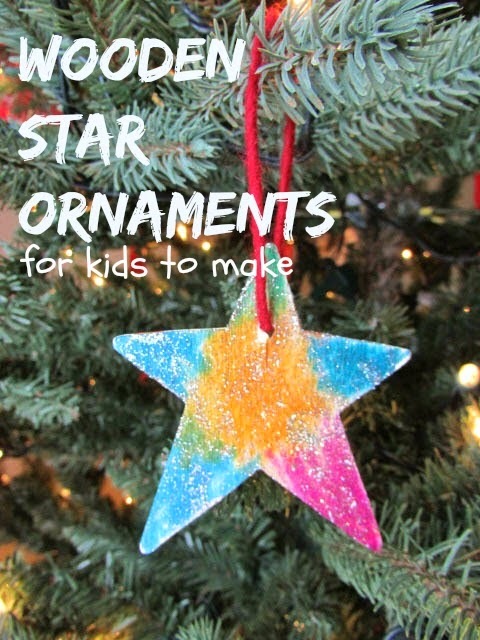 These ornaments are a perfect blend of ease and beauty. The best combination for crafting with kids! 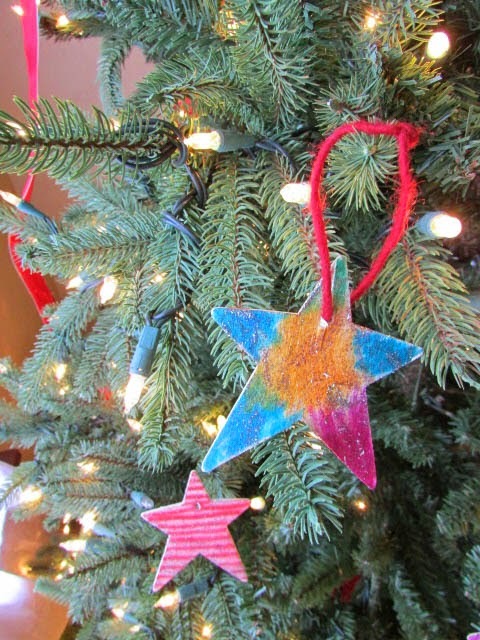 Drill holes in each star, make sure they are big enough to fit your yarn through. 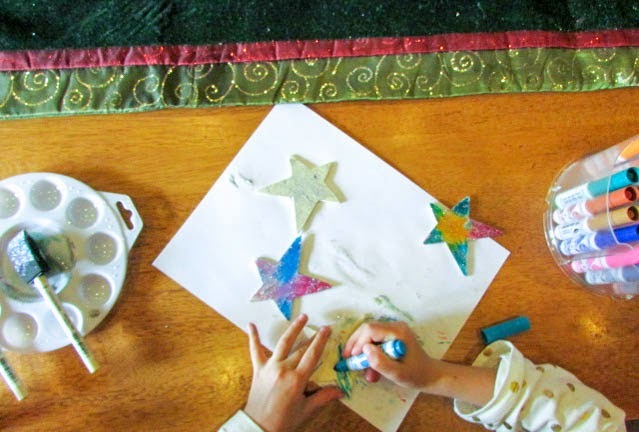 Hand the stars over to your little ones and let them color away. 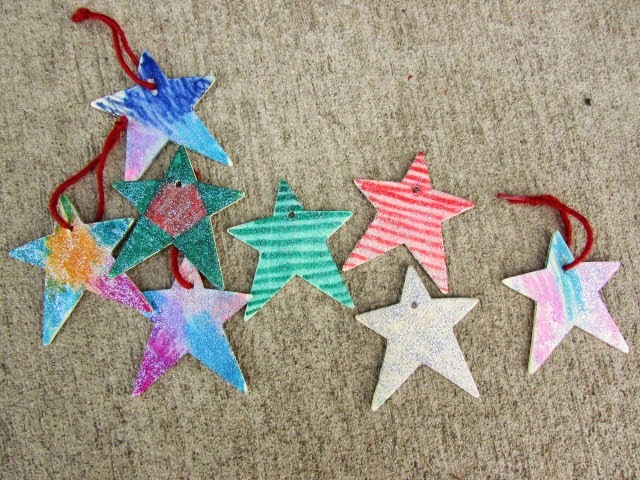 We loved the multi-colored stars and striped versions best, the colors blend so nicely when the paint is added. 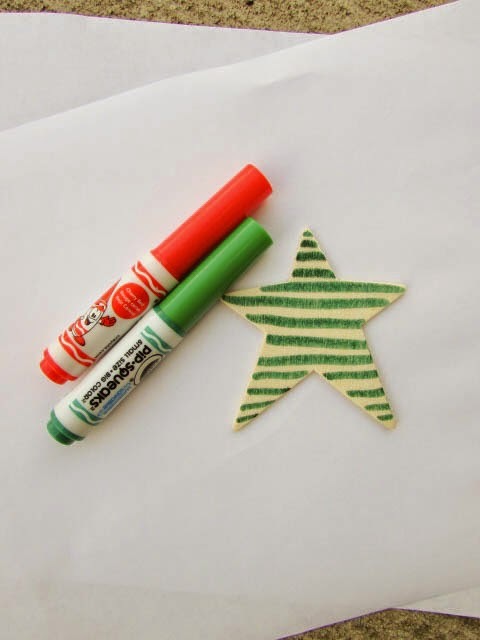 Using a foam brush, coat the star in glitter paint. The paint makes the colors of the markers run, making a beautiful blending effect. The glitter is an added bonus. 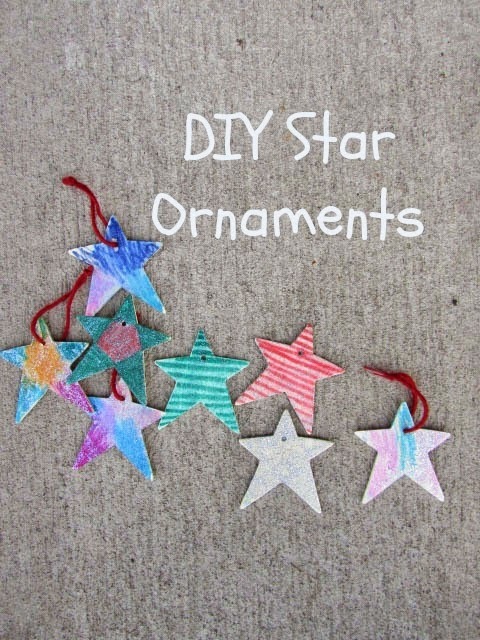 Let stars dry and then add a yarn hanger. 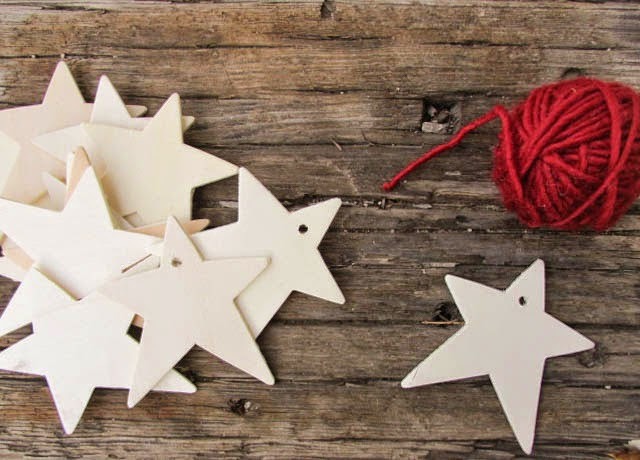 They are ready to add crafty beauty to your Christmas tree or decoration to a wrapped package. These would make beautiful gift tags, too.